You'll be £20.00 closer to your next £10.00 credit when you purchase A Woman Living in the Shadow of the Second World War. What's this? Overall, a fascinating insight into life on the Home Front. The writings of an ordinary woman in far from ordinary times [that] demonstrate how the war and the war effort overshadowed everyday existence for every man, woman and child. Another valuable first-hand insight into what life was really like for the ordinary citizen in Britain. This book provides a wonderful collection of impressions, views and insights from the view point of a civilian in the greatest war to be fought, where even at home, civilians were on the front line. 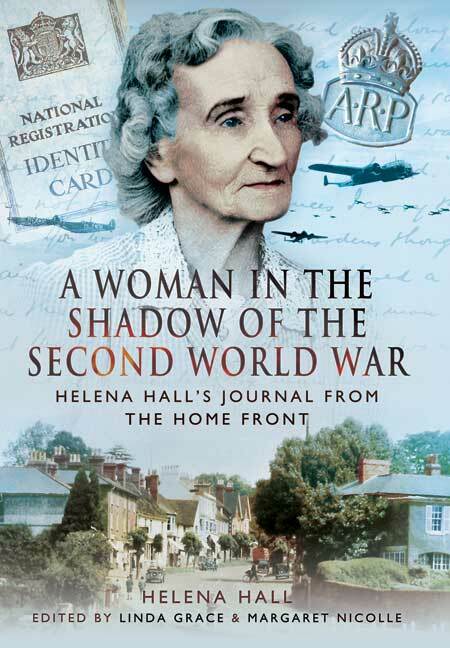 ...contains edited extracts of Helena Hall's Second World War journal in which she described her everyday activities...alongside descriptions of momentous national and international events. Through this it is possible to gain an insight into the impact of the conflict locally, and it also shows the energy and commitment of people in the area to the war effort. Two Lindfield historians have published, for the first time, the exceptional personal diary of Helena Hall, depicting life on the home front during the Second World War. Linda Grace and Margaret Nicolle came to know about the journal through research for a local exhibition. They subsequently decided to return to the Record Office to explore it in more depth and were inspired to write their book as the journal is so distinctive and has much to offer the reader today. Over the years many accounts have been written in the aftermath of World War II in an attempt to capture life on the Home Front. But a series of diaries, meticulously kept by a Lindfield ARP warden, give a unique first-hand account of the war years from 1940 to 1945. The book has been painstakingly put together by Lindfield residents Linda Grace and Margaret Nicolle over the last four years.